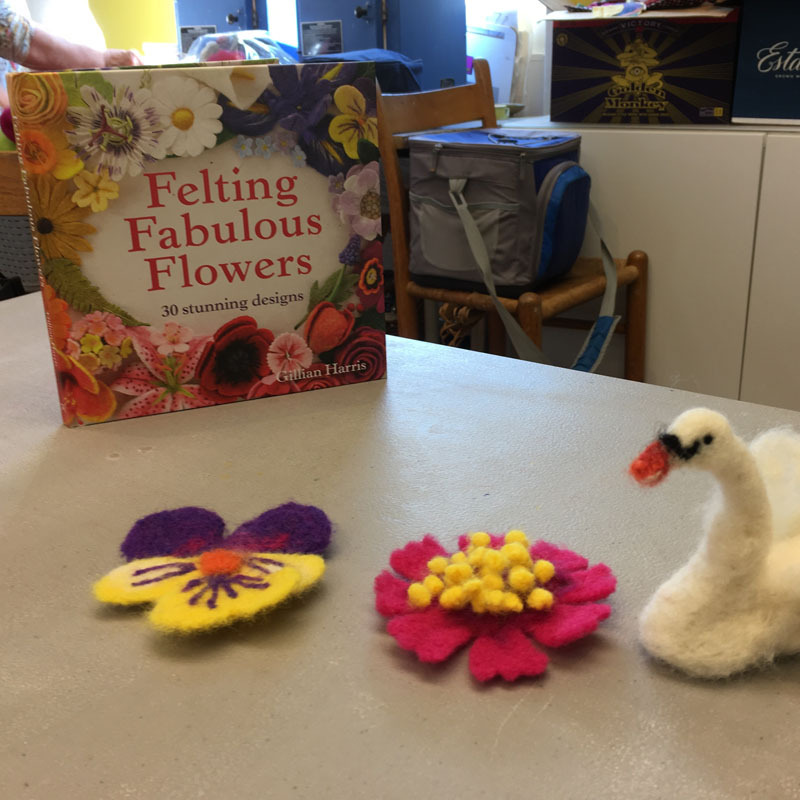 Sculptural needle felting is fun and easy to learn. 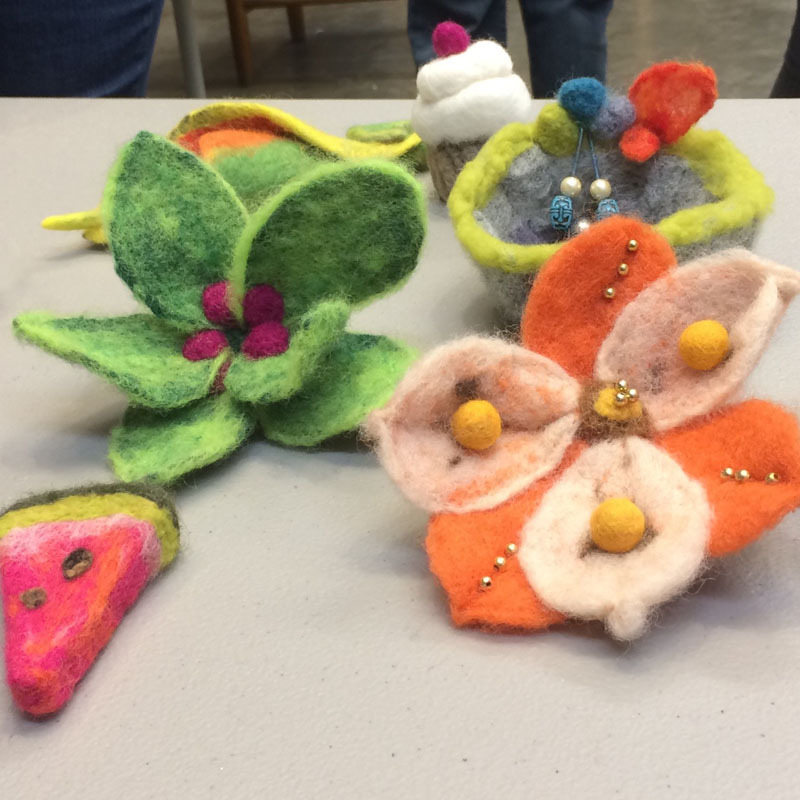 It is a popular craft in which wool fleece can be made into a 3D object with the help of special barbed needles. Using a few simple techniques you can create many beautiful (soft and warm as well!) objects – from jewelry and home decor, to toys and dolls. 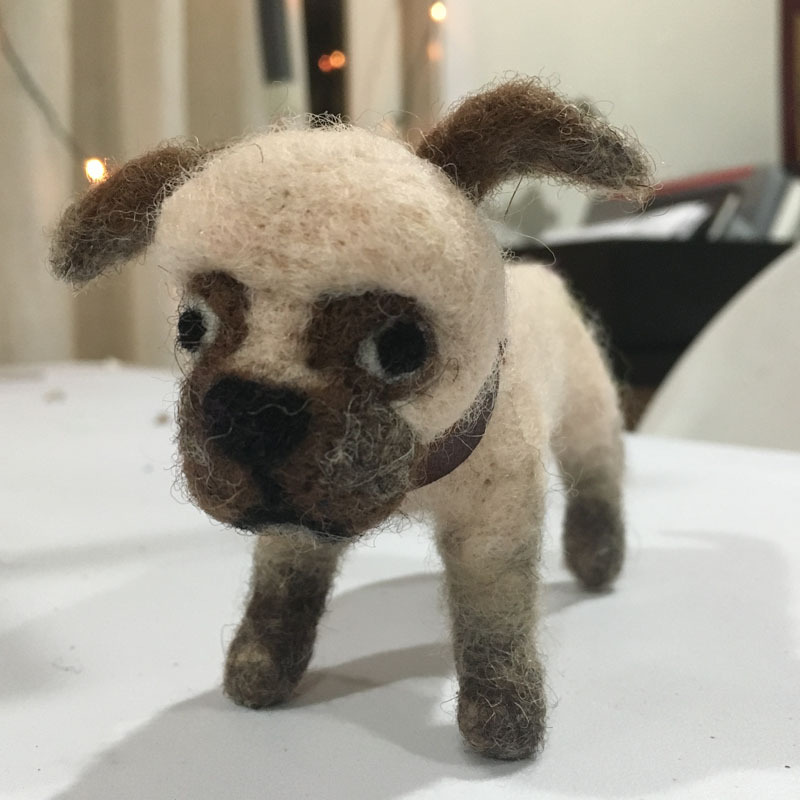 Adult needle felting workshops that I conduct may consist of 1,2 or 3 sessions, depending on how long and complicated is the project. 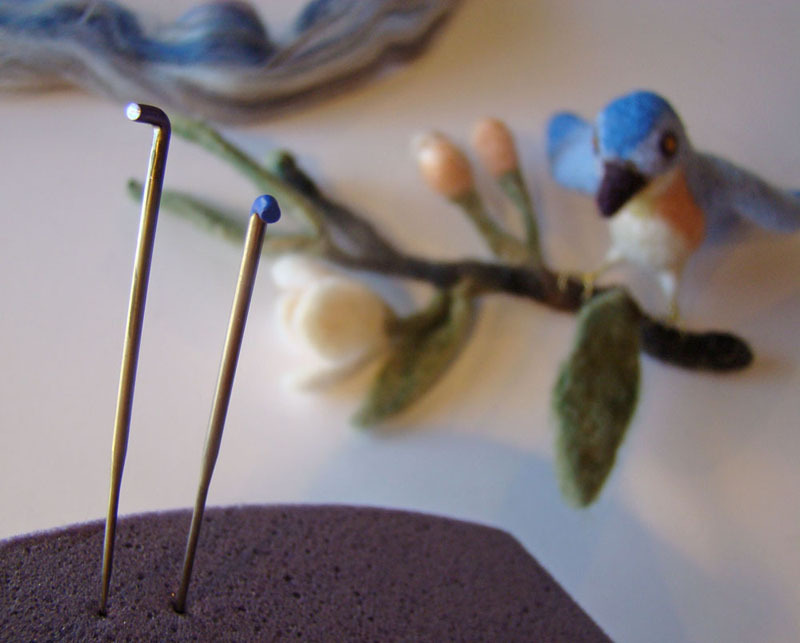 The beginner 1-session workshop usually is 3 hour long, and includes a brief lecture about the use and purpose of various needles, quality of wool, and techniques for building the forms and making features. Then I make a quick demonstration, and the students proceed to their own projects. 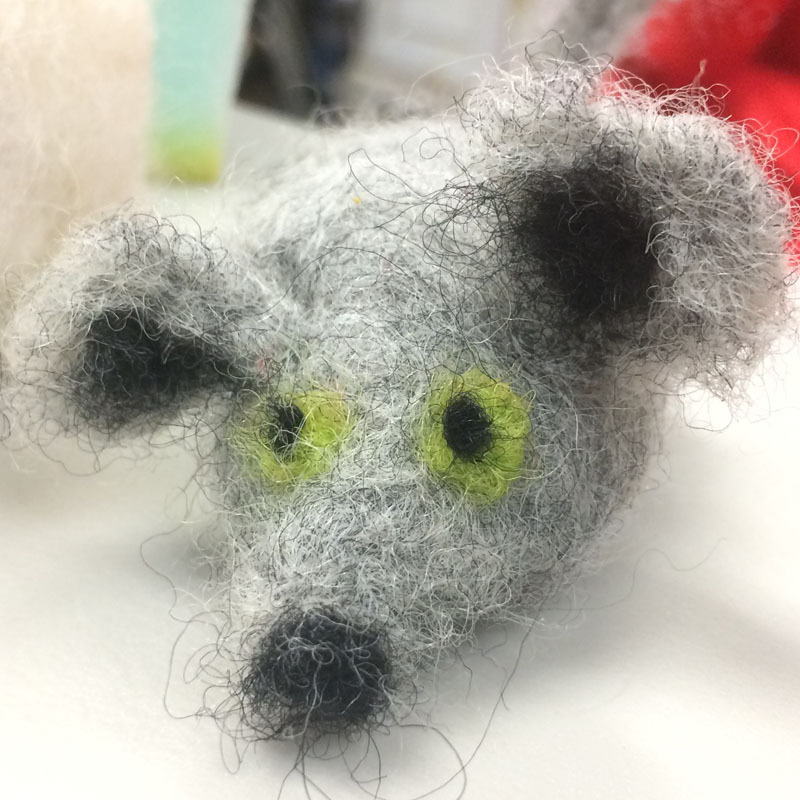 The themes may vary from wool pets’ figures to Christmas tree ornaments. Bring a friend, and you both will get 20% off!